Are you looking to convert an existing building such as an agricultural barn into a dwelling. They do seem to be the flavour of the month probably because of the current relaxation of the planning law, either new conversions or renovation and improvement to previously converted dwellings. The conversion of a redundant building provides a good way of prolonging its life expectancy. 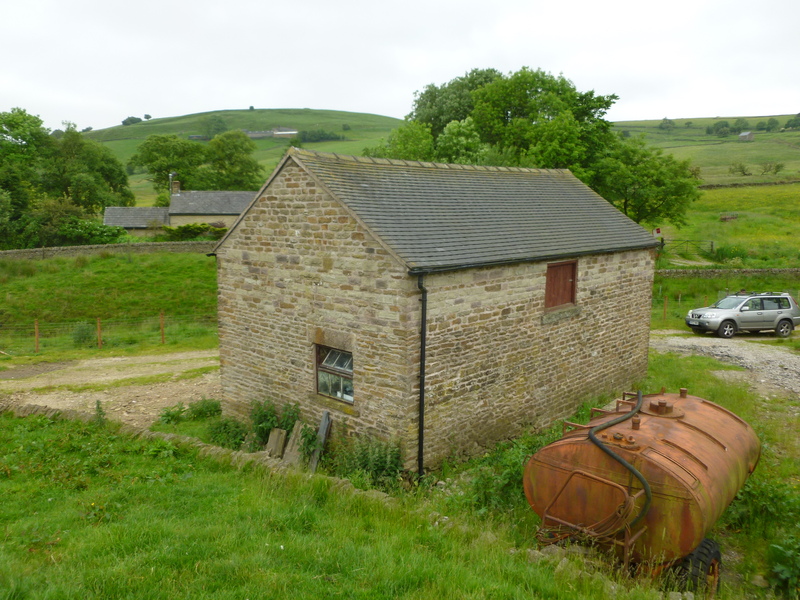 There are many different types of buildings that would be suitable for conversion into residential use, but the most popular are redundant agricultural buildings. Traditional farm buildings are one of the most common types of historic buildings in the countryside but they have fallen into disuse as a result in changes to modern farming practice. Barns were built with efficiency and cost effectiveness in mind and built with local building materials in distinctive regional styles and variations. Conversion from one use to another will require planning permission, and also building regulation approval, which generally must meet the current requirements for heat loss and energy conservation. The principle design consideration when carrying out a barn conversion is to be true to the building and retain the original character and form of the building and not simply turn it into a house. Which means the Local Planning Authority will demand the building should look like a barn after its conversion to preserve the character and visual landscape of the area. The traditional barns are simple in shape with limited, functional openings. The existing doors and windows sizes should be retained, which were originally designed and positioned for animals or tractors or most probably hay carts and the like, so the doors can be much wider and taller than you need for a dwelling. Openings originally used for pitching hay into the loft space make for quirky floor level windows which can only be looked through from a sitting position. Planning officers will generally only give permission for a barn to be made into a home if the owner plans something that retains character and is in keeping with the surroundings, working within the original fabric or shell of the building rather than extending outwards or up. This often results with peculiar internal planning of the space, perhaps with differing ceiling or floor levels as you move through the dwelling. Existing timber trusses holding the roof in place in the centre of the barn may make circulation on the upper floor very difficult and the better design solution is to make this full height with a central staircase accessing rooms to the either side of the truss. The internal plan should be designed to make the best use of the existing openings, even if it seems unconventional be traditional housing design, limited number and sizes of existing require careful consideration when planning rooms to maximise the natural light available. If a new opening is to be inserted, sympathetic proportions and detailing should be used, following existing patterns on the building, or other similar farm buildings in the area. There is a wide range of window styles available off the shelf, but many should be avoided. Windows and doors in a barn conversion need to be simple, sturdy and functional in style, plain in style and without fussy mullions, typical of houses and they should be made from good quality materials, such as timber, avoiding uPVC. Currently the Local Authority will require justification for conversion in planning terms. I was recently at a seminar given by John Scott, the head of Peak District National Parking planning authority who discussed a proposal put forward by the Department for Communities and Local Government to support growth in rural communities and boost the economy, there may be a relaxation on the rules and greater flexibility on the change of use of existing agricultural building into a dwelling. There has already been a relaxation of permitted development for the change of use of agricultural buildings to use for commercial purposes, but since the relaxation in May 2012, Peak Park are still awaiting the first conversion to take place. The Government recognises an urgent need for more housing across all our villages and rural areas. The key proposals are to allow up to 3 additional dwelling houses to be converted on an existing agricultural unit, up to a maximum of 150m sq per dwelling. We will have to wait and see how that pans out.